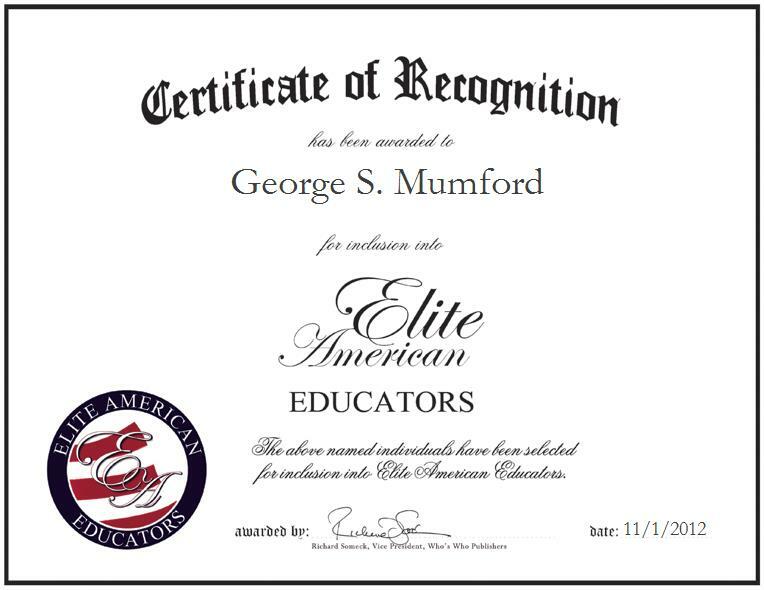 ← Lydia R. Herndon, Ph.D.
WESTWOOD, MA, November 1, 2012, George S. Mumford, Professor of Astronomy Emeritus, has been recognized by Elite American Educators for dedication, achievements, and leadership in astronomy. With nearly four decades of professional experience under his belt, Dr. Mumford shines as a luminary in his field, bringing forth a sprawling knowledge of his field to the renowned institute of higher education that he proudly serves. He has nurtured heightened proficiencies in astronomy, and has become known as an expert on nova-like variable stars—which are better known as explosive stars. Dr. Mumford is retired, but spent more than 38 years at Tufts University, teaching astronomy and astrophysics on the elementary and intermediate levels. He was also the dean of both the liberal arts and graduate programs for some time. He holds a Bachelor of Arts in Astronomy from Harvard University, a Master’s Degree in Astronomy from the University of Indiana, and a Ph.D. in Astronomy from the University of Virginia. A genuine love of what he does has made Dr. Mumford a star. He belongs to the American Astronomical Society, the Royal Astronomical Society, and the American Physical Society, as he is committed to remaining abreast of trends and developments in astronomy. He became involved in his profession because he had an interest in astronomy from an early age; he chose the field of education because it gave him the ability to teach and conduct research in his field. In looking ahead, Dr. Mumford looks forward to publishing a book on 100 years of salmon fishing on the Miramichi River in New Brunswick, Canada.